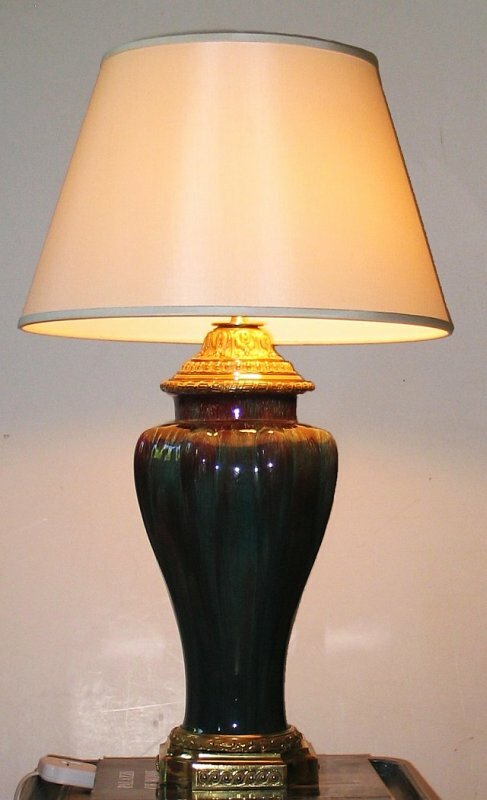 Late 19th century French green and oxblood color ceramic lamp with gilt bronze mounts. Originally for oil. Now electrified.